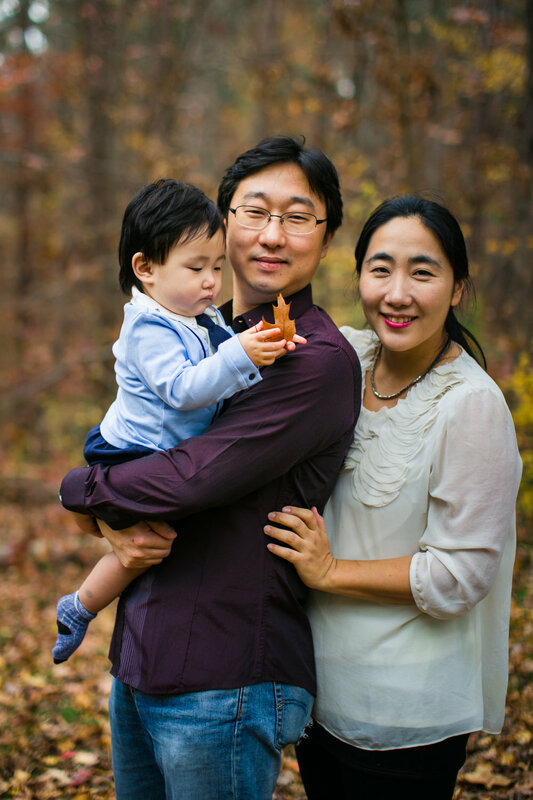 One of the biggest honors of being a Durham family photographer, is watching families grow! Especially when it comes to babies, they grow WAY too fast! 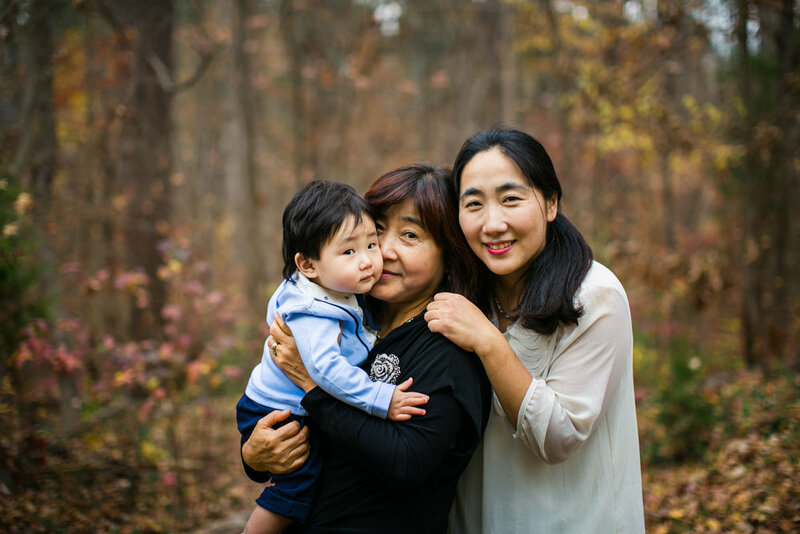 Today's story is about the Yoo family, and I had the special opportunity to take photos for them again. The last time I took photos for them was for his 100th Day Celebration, which is a traditional Korean celebration. This time, we were taking photos of Aiden's 1st birthday and it was a blast! One of my favorite photos was when we brought out the stuffed animal manatee. I remember they were fond of manatees, and was curious to see if this was something Aiden would love, too...and boy, he sure did! He absolutely LOVED snuggling his face against the stuff manatee and kept giggling! He was so happy he was kicking his feet up and down, and it was SO adorable and cute!!! 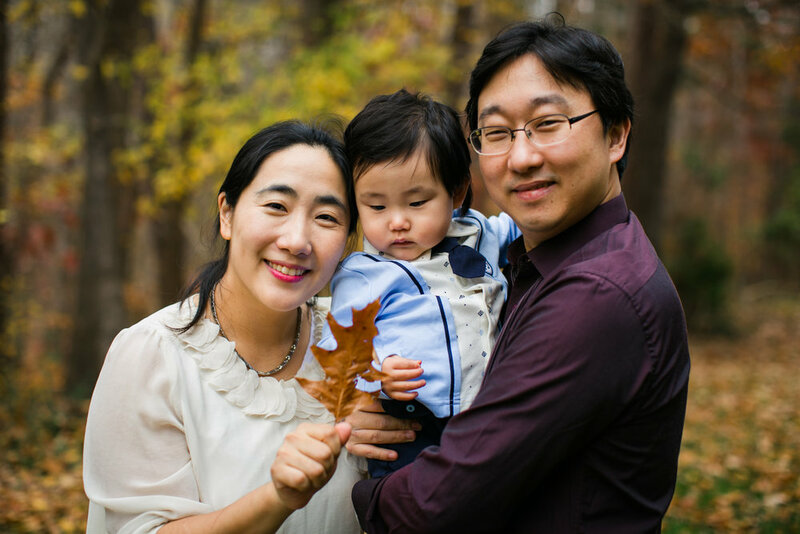 The second part of the shoot we went outside to take beautiful fall family photos, and we had so much fun! 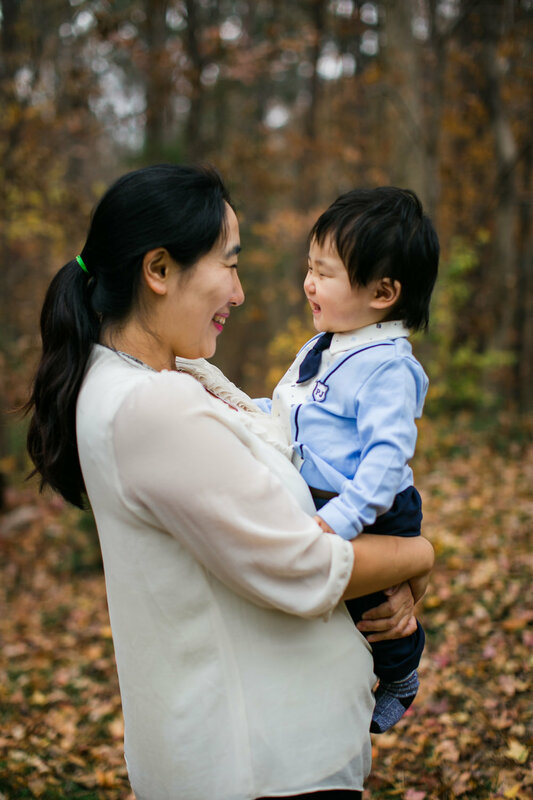 Aiden loved having his mom softly blow into his face, and his smile will just melt your heart! Seriously, take a look yourself! Enjoy the photos!